​Lifelong learning and continual professional development are key in ensuring that healthcare professionals retain their edge in providing quality patient care. 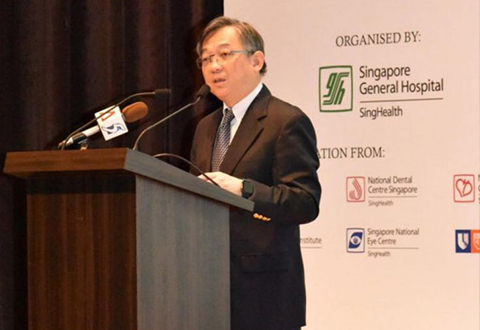 The role of SGH-PGMI was to consolidate the hospital’s resources and act as the postgraduate medical training centre of SGH. Besides spearheading programmes aimed at promoting postgraduate medical education, the Institute also serves to facilitate, co-ordinate, oversee and provide advice on all operational and administrative aspects of postgraduate medical education and training conducted by SGH medical staff. As a pioneer institute, PGAHI provides quality education and training for local and international healthcare professionals, tapping on SGH’s wealth of clinical expertise and that of its reputable partners, as well as leveraging on strategic partnerships with renowned overseas universities.